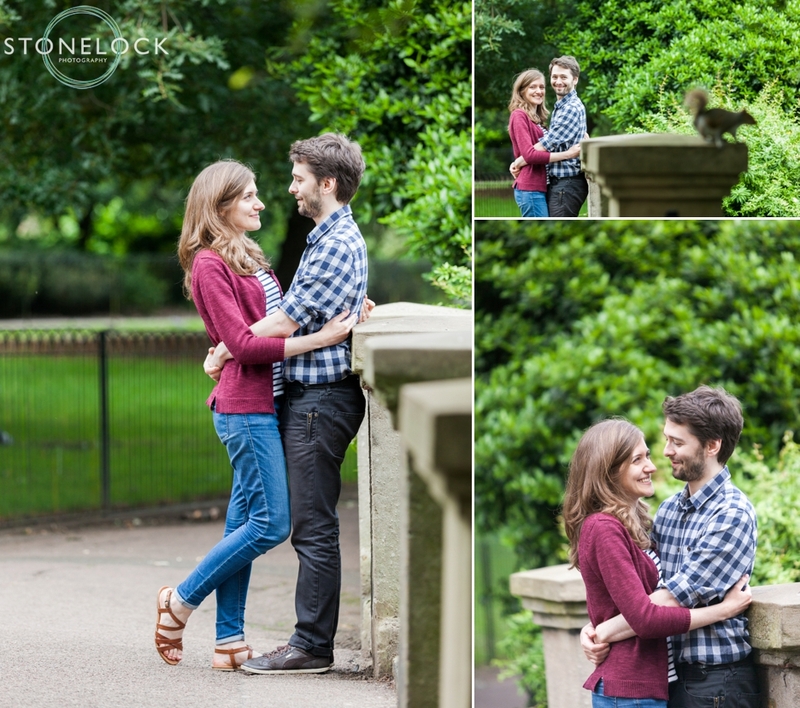 One of the wonderful things about asking couples to choose where they want their pre-wedding shoot is that we are discovering so many areas of London! In the last month or so we’ve shot at parks in South, East & West London, Soho, the city and the on Southbank. We’re just looking for a North London location for a full set…! 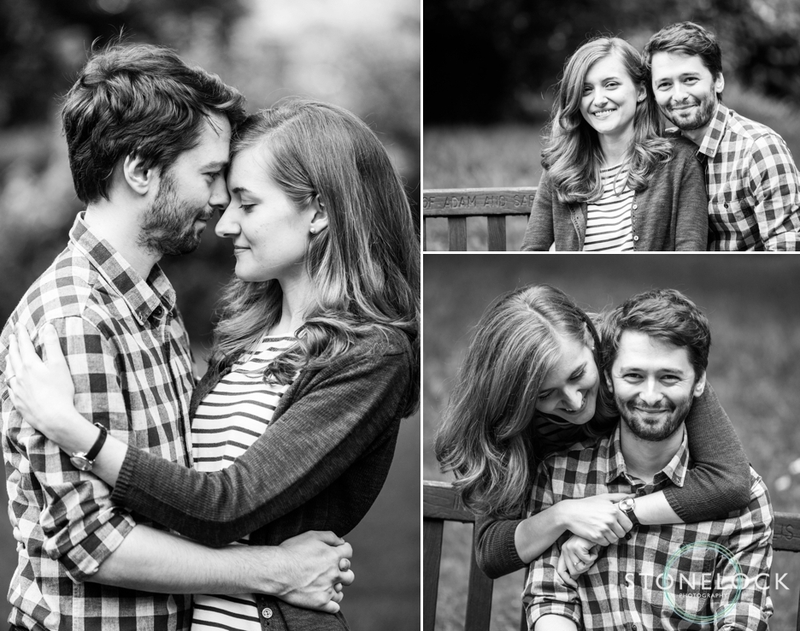 Miriam & Chris met at university & I love the romance of their engagement story! Having spent most of the last few years in different parts of the country due to their separates studies and jobs they’d just had a precious weekend together in London cumulating in dinner at a lovely Italian restaurant in Notting Hill. Much of their time together was spent wandering London’s parks so it wasn’t unusual when Chris suggested walking back though Kensington Gardens. Whilst on leave from the first world war Chris’ Great-Grandfather had met his Great-Grandmother nearby in Hyde Park and so the area had significance to the family. 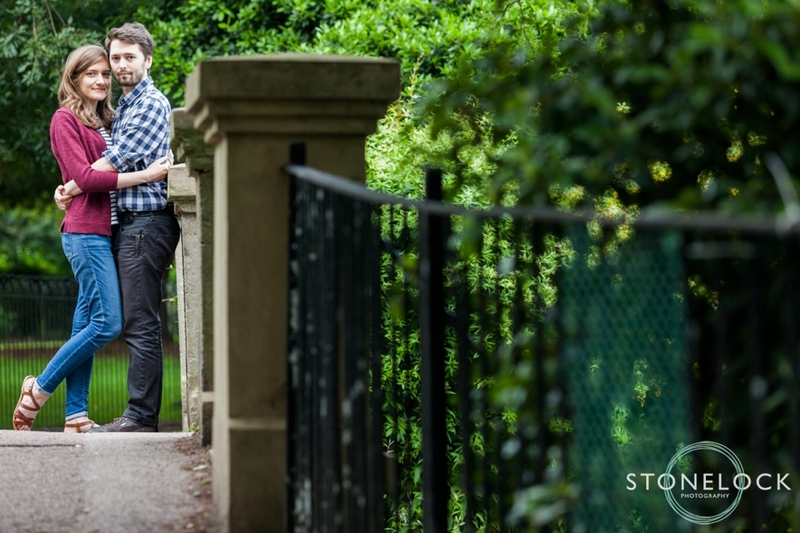 Sitting on a bench nearby, some 100 years later Chris proposed to Miriam – and she said yes! 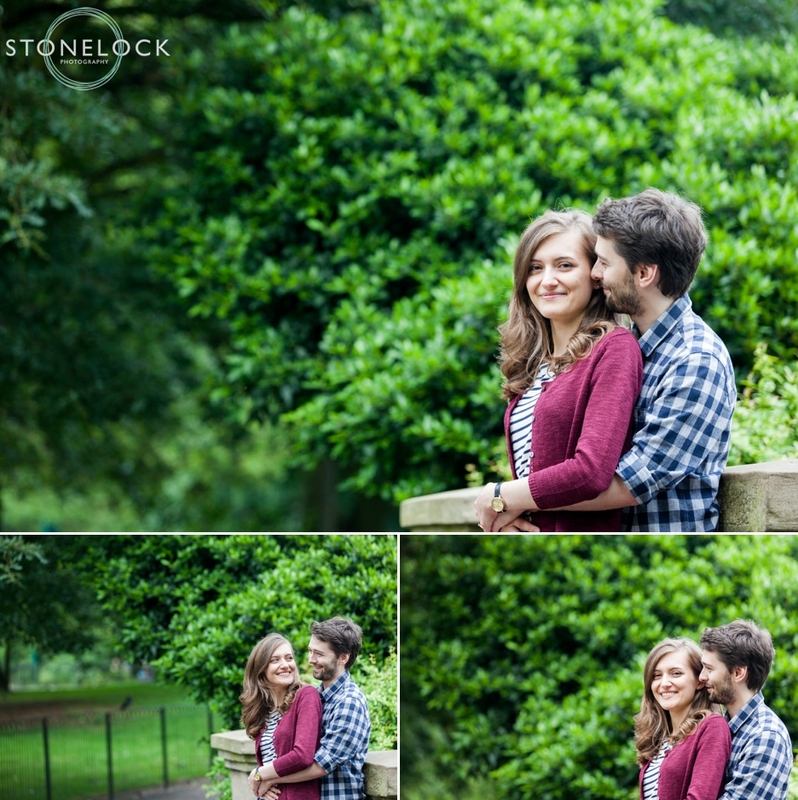 We’d hoped to do their engagement shoot in Hyde Park to continue the story but unfortunately there are very strict rules for photographing in the Royal Parks so instead we met them on a glorious summer’s evening in a small park in West London. 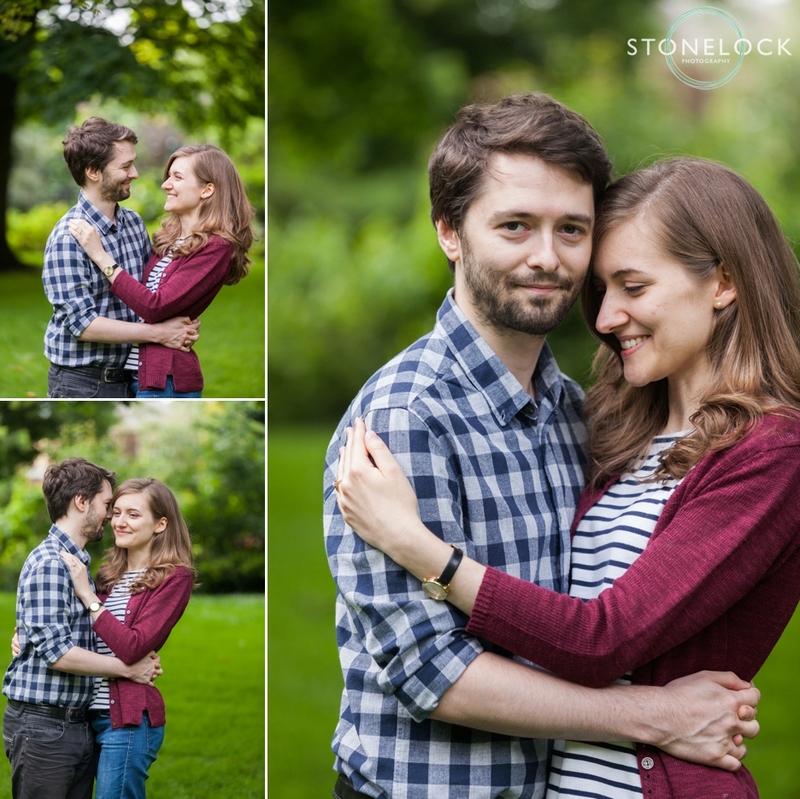 They were absolute naturals in front of the camera & we’re delighted with the results! 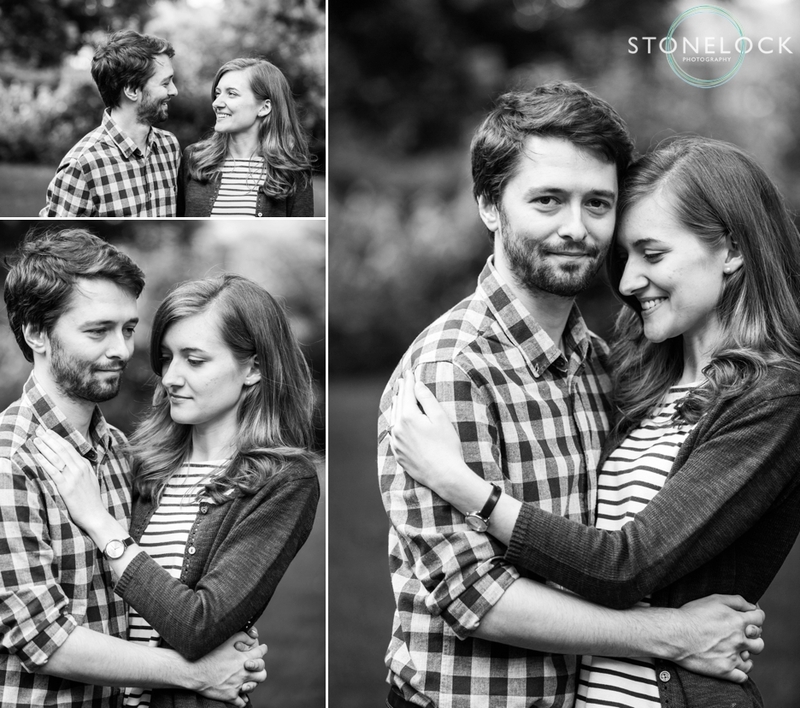 We’re looking forward to continuing the family story when we shoot their wedding later in the summer. for now, here are a few of our favourite photos! ‘Photo-bomed’ by the local wildlife! This entry was posted on Tuesday, August 9th, 2016 at 12:19 pm. It is filed under Blog, Engagement Shoots, Wedding Photography and tagged with Engagement shoot, London, Surrey, Wedding Photography. You can follow any responses to this entry through the RSS 2.0 feed.